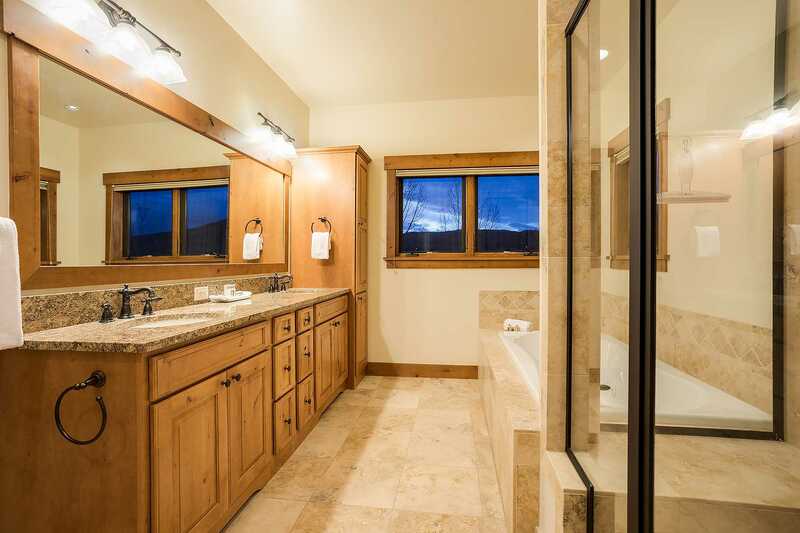 A stunning vision of mountain elegance - Snowflake Meadow is a truly exceptional home that is located only moments away from the mountain village. 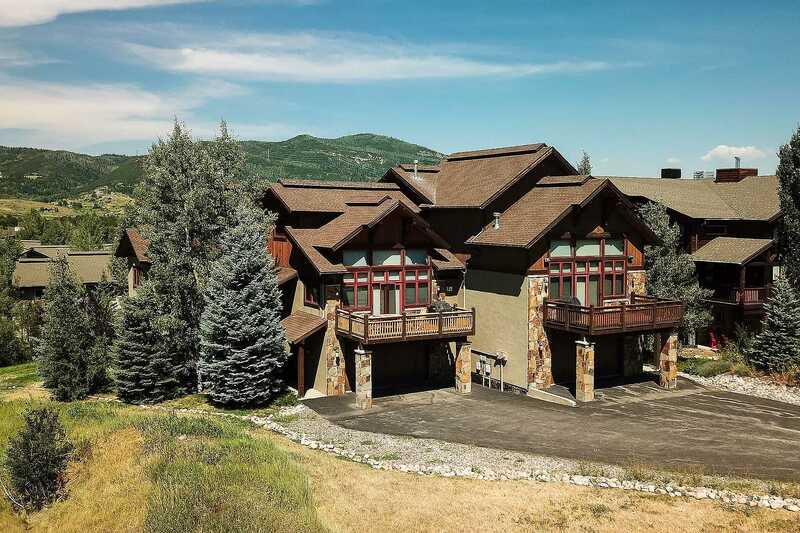 This 4 bedroom 4.5 bathroom property offers dramatic views of the ski resort, the very best in furniture, including Colorado handcrafted wood bed frames, Bear memory foam mattresses in each bedroom just to name a few. 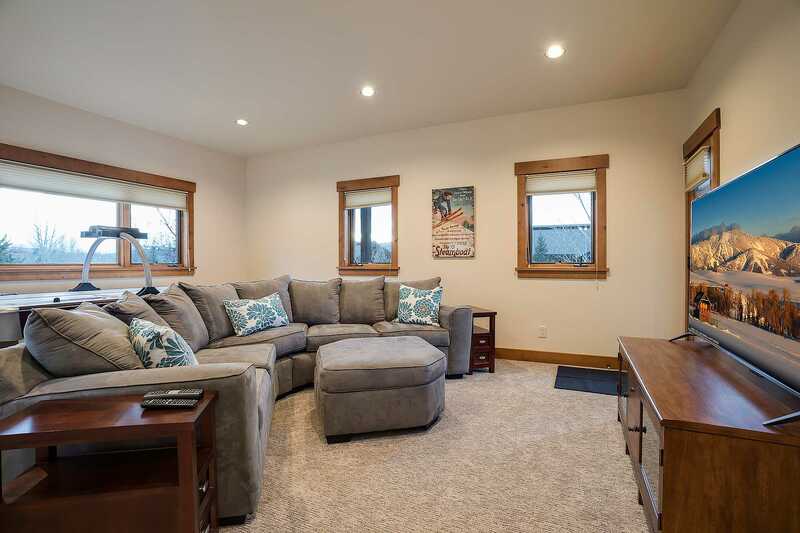 In fall 2017 the entire interior was repainted, brand new carpet installed throughout, as well as all new furniture and artwork, with each space offering simple yet modern sophistication. 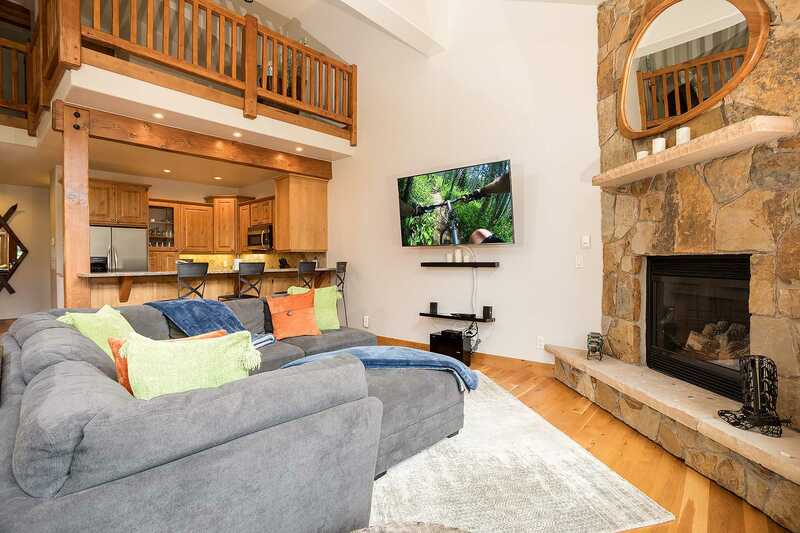 On the main floor the great room is superb for family night or entertaining guests, and offers amazing views which easily steal the spotlight! 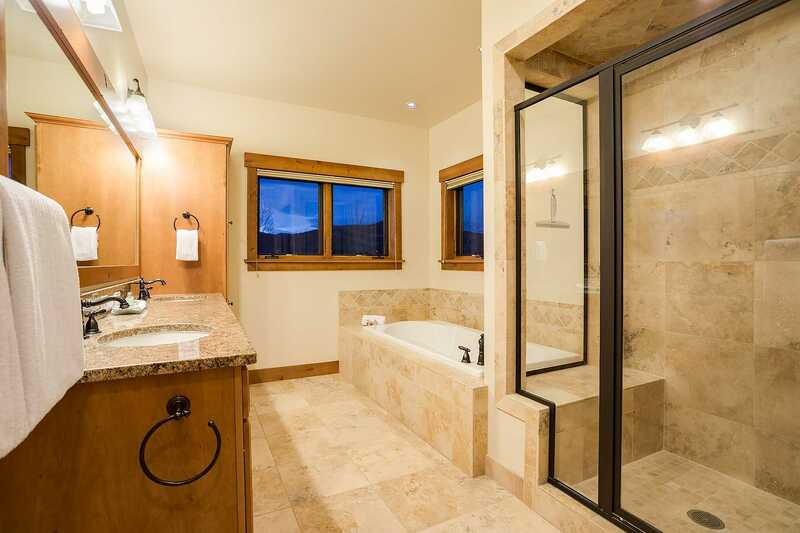 The room has a cool and calming palette, warmed with natural elements like the wood floors and stone fireplace. 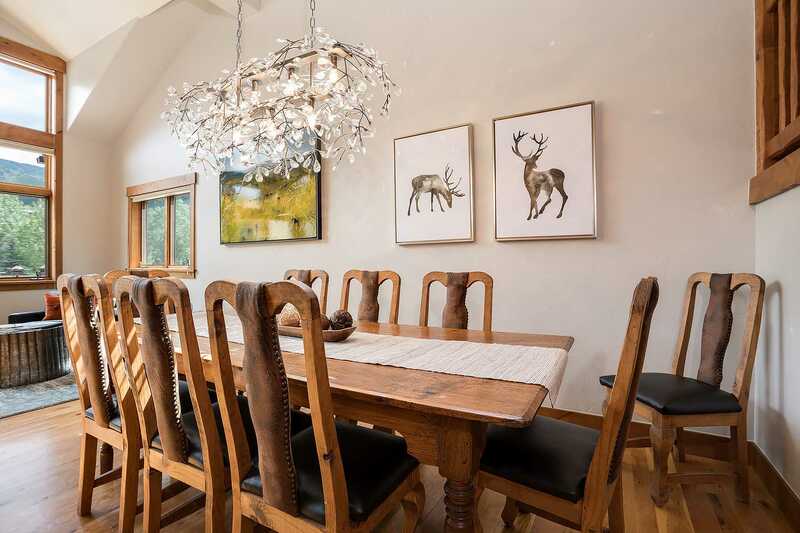 There are fun pops of glitz and glamor with the chandelier over the dining table and metal accent drums. 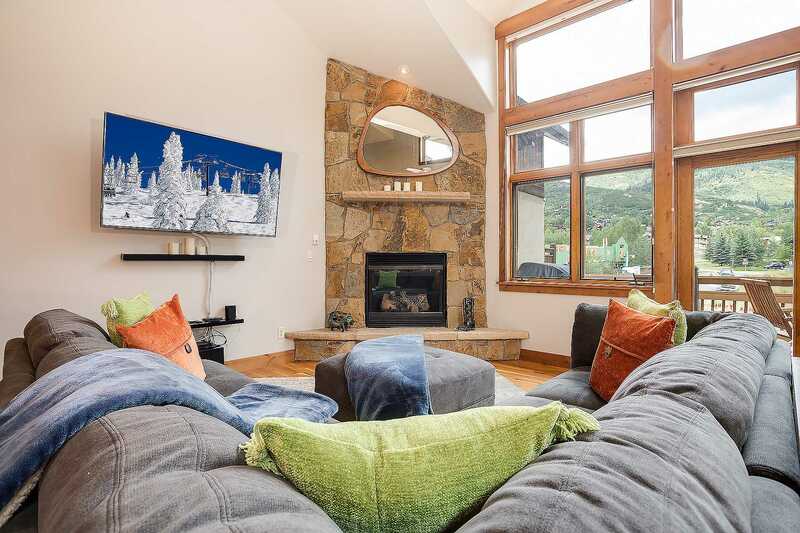 This spacious living area has soaring ceilings, two comfortable seating zones, with a super comfortable sectional sofa in front of the high-BTU fireplace and then a set of soft leather swivel chairs set by the windows, perfect for gazing up at the mountain or enjoying a movie on 65 inch LG 4K Ultra High Definition Flat Screen TV enhanced with Samsung 5.1 sound bar. 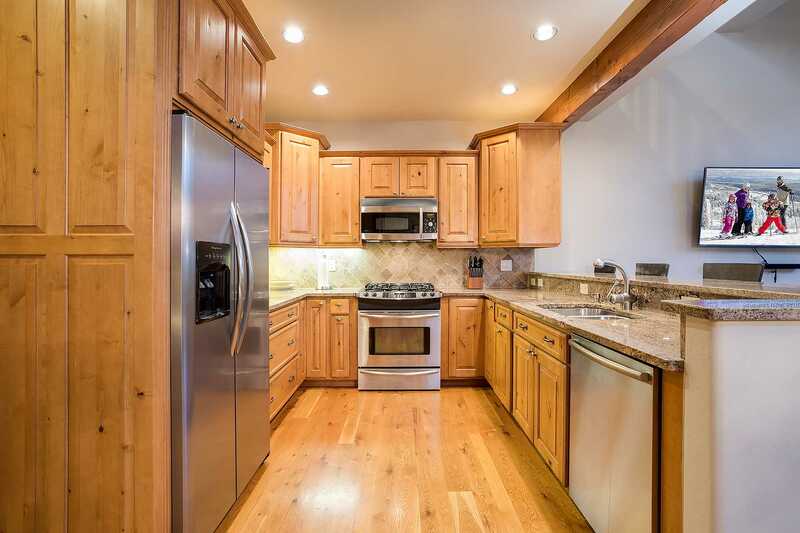 The kitchen is equipped with stainless steel appliances, natural gas range, granite counters, and large breakfast bar that offers counter seating for four. 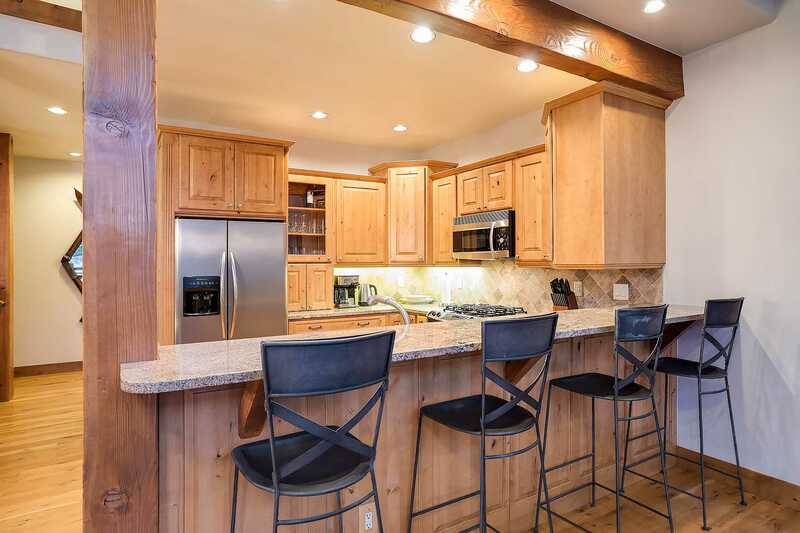 Across from the kitchen the dining table can seat up to ten guests. 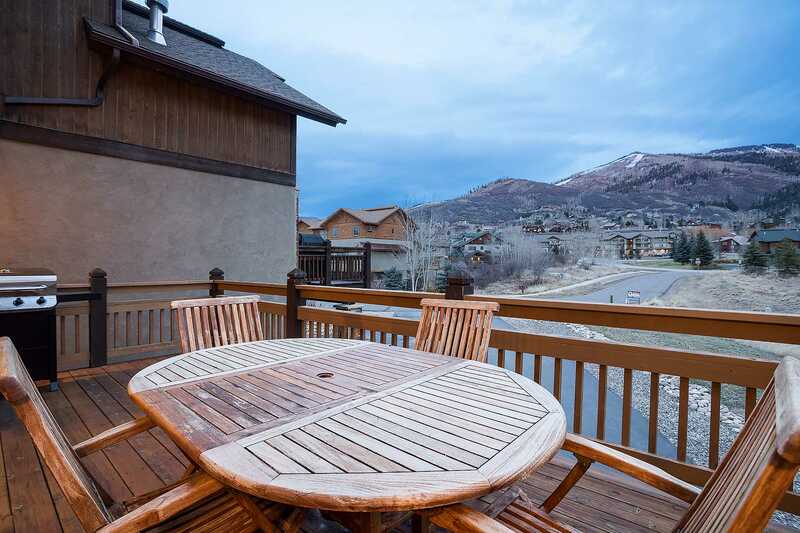 There is also a nice size deck off the living room with teak outdoor dining set and propane gas grill. 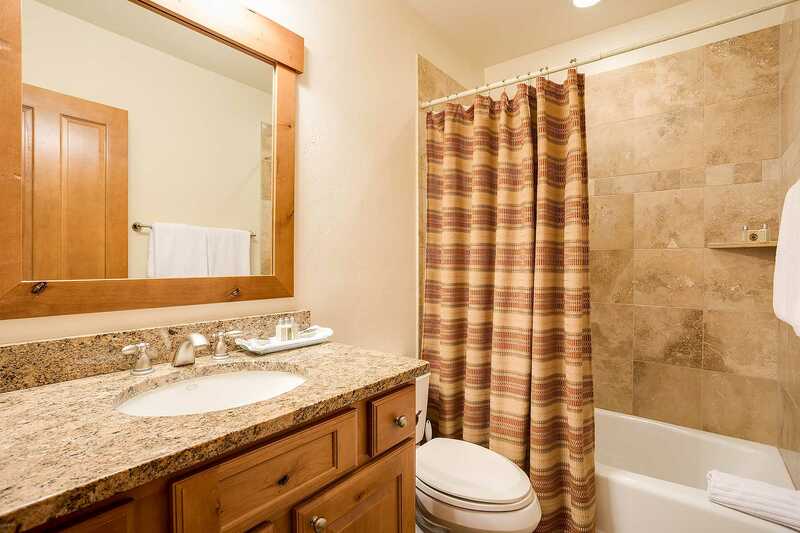 The main floor also has a large laundry room, pantry and half bath. 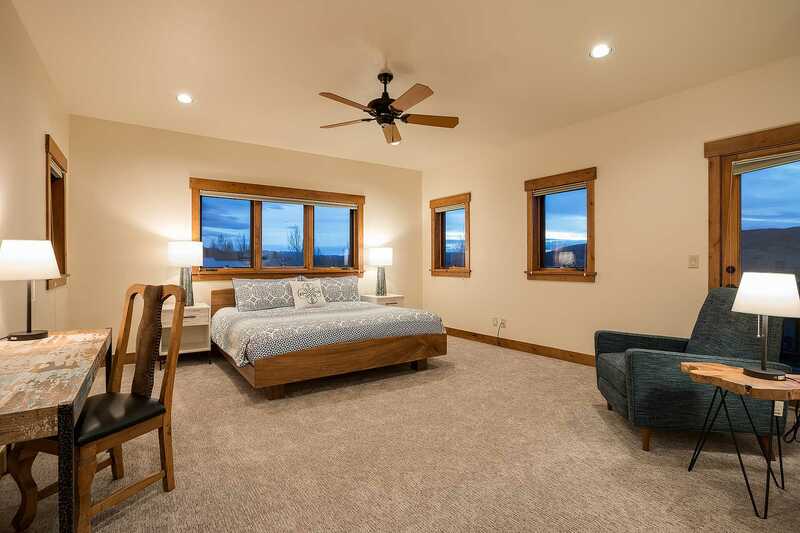 The Master bedroom is located on the main floor as well, enjoying views towards the Flat Tops and down valley from the many windows or the private balcony. 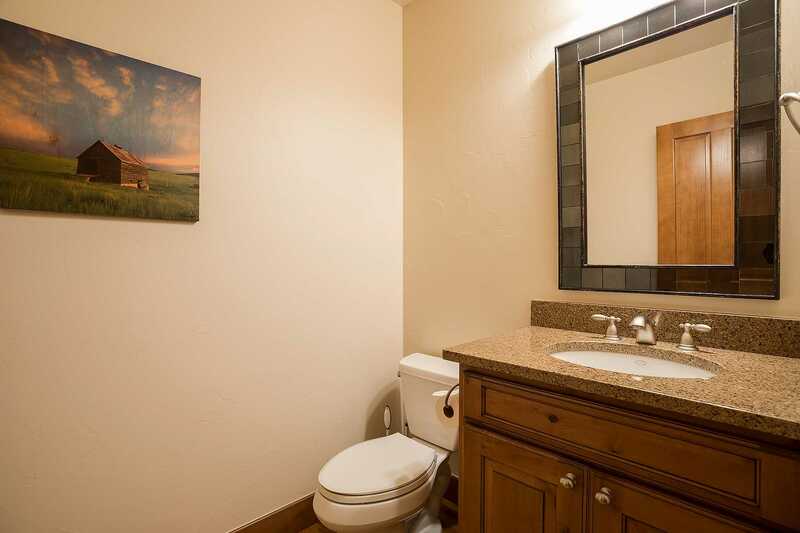 There is a King bed, writing desk, large walk in closet and beautiful en-suite bathroom with double vanity, walk-in shower and jetted tub. 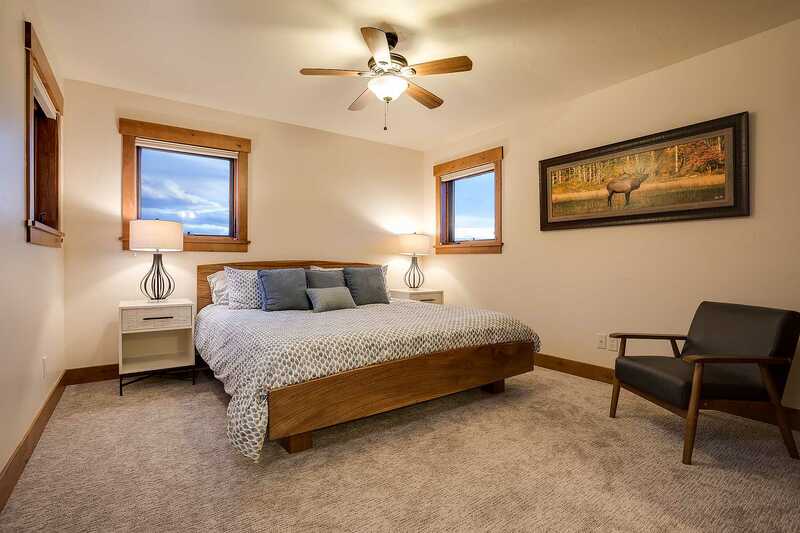 Upstairs you’ll find two well-appointed guest bedrooms each with King beds, large closets, and private en-suite bathrooms. 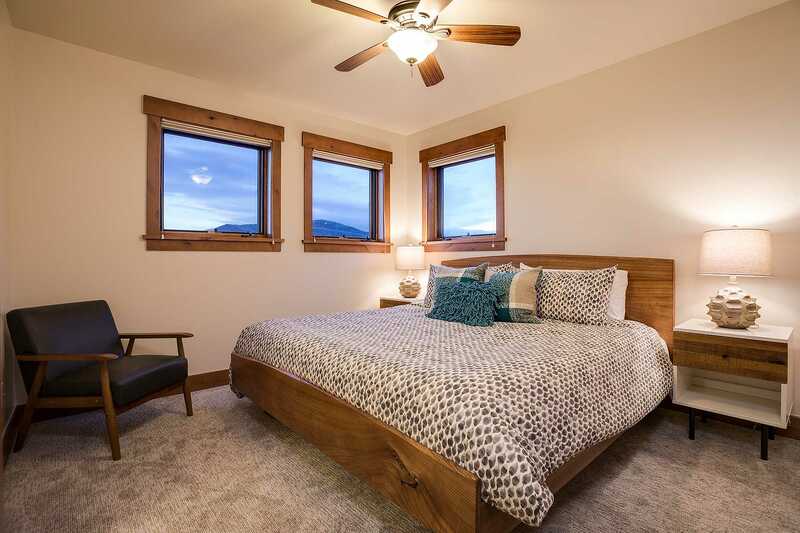 At the top of the stairs there is a loft that overlooks the living space below, this quiet reading corner enjoys elevated views of the mountains, or a space to setup the Twin Frontgate air bed. 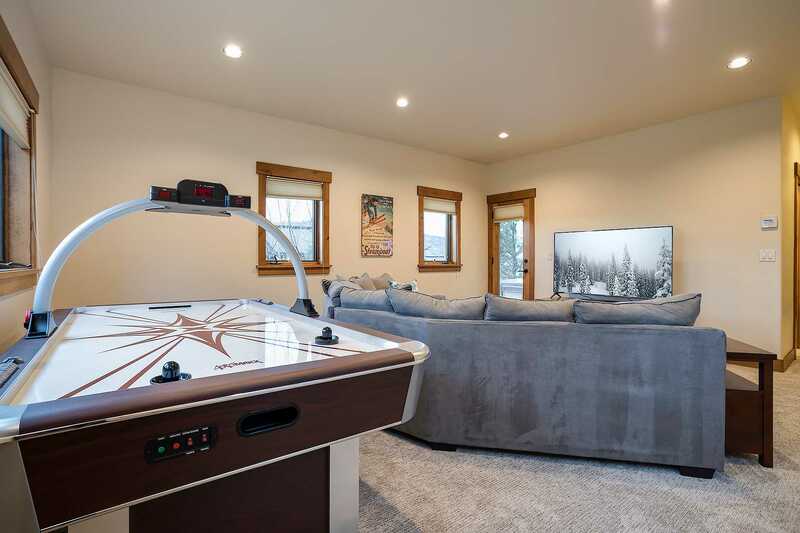 On the lower floor the rec room is the ultimate hangout zone equipped with 65 inch LG 4K Ultra High Definition Flat Screen TV, Xbox One S gaming console with games, sectional sofa and I’m betting one of the very few vacation homes you’ll find in Steamboat with an Air Hockey Table! 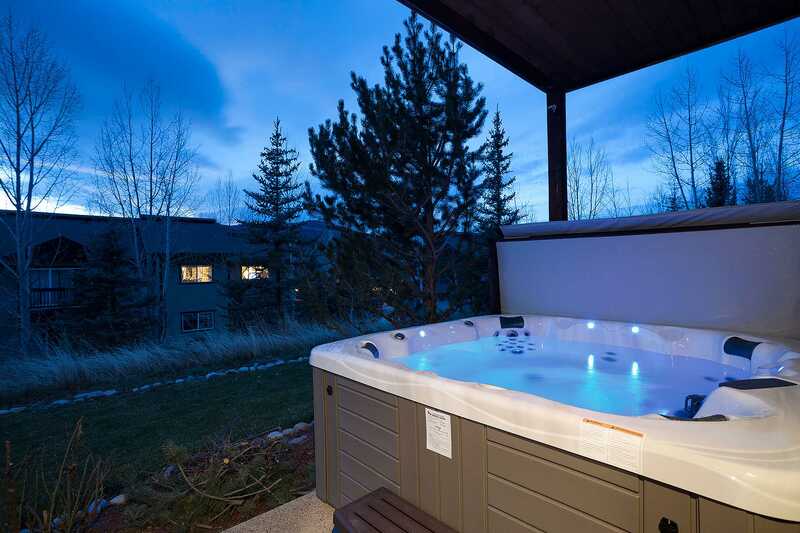 On the back patio a soak in the private hot tub is a perfect ending to a day on the mountain, whether it be hiking, biking or skiing! 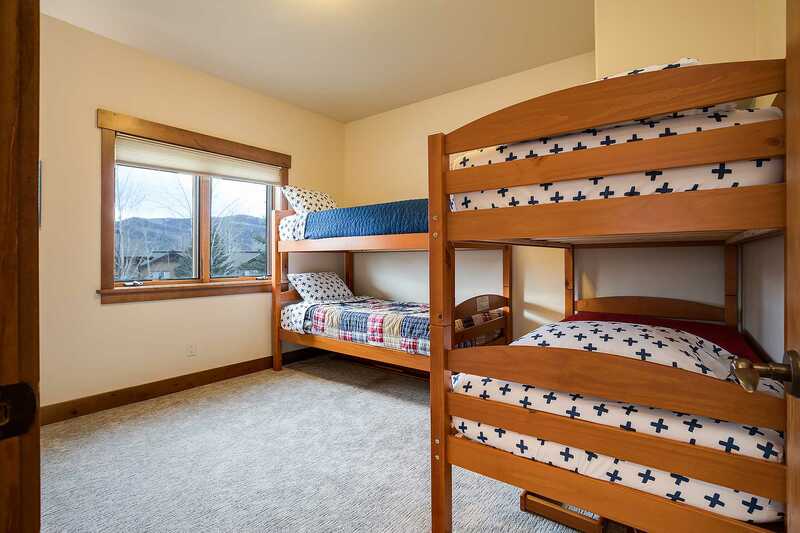 The fourth bedroom is also located on this floor, with two sets of twin over twin bunk beds, a spacious walk-in closet, and there is a full bathroom located just off the hallway. 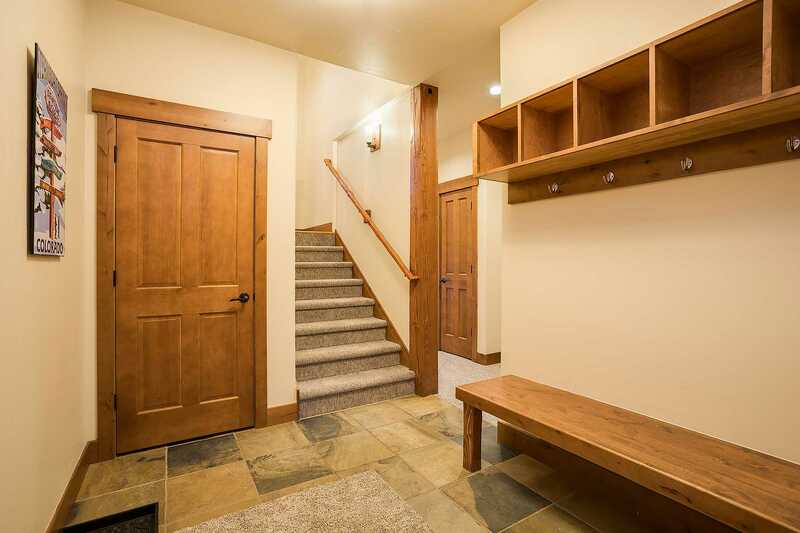 The two car heated garage offers lots of storage including ski racks, and the mud room off the garage entry has a bench, cubbies and hooks. 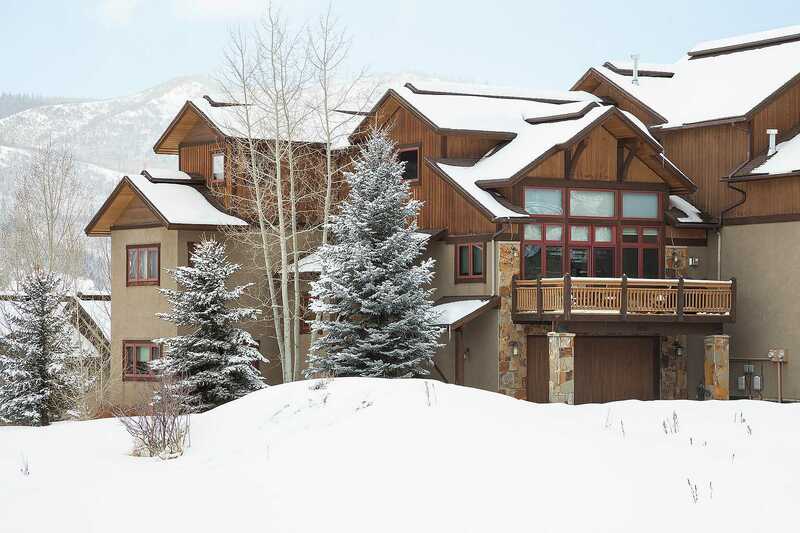 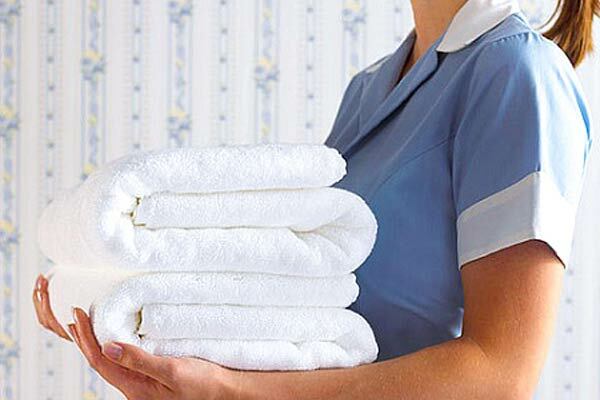 Calculate rates, confirm dates and book Snowflake Meadows online. Ski Area Base: Snowflake Meadows is located just less than 1 mile south of the Steamboat ski area in a residential neighborhood. 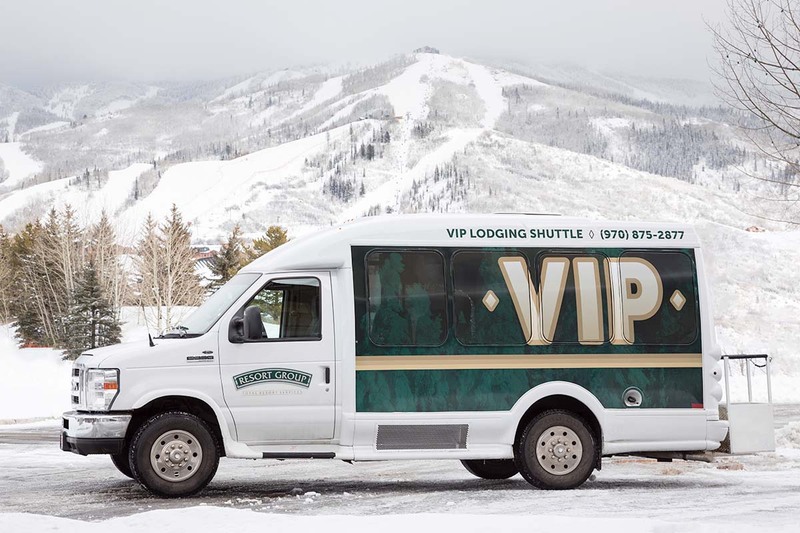 Winter on call shuttle service is available to guests for transportation to the resort, downtown Steamboat or the grocery stores.